Do you have a hard time with decision making? Are you often struck with crippling decision paralysis when presented with two seemingly equally good opportunities? 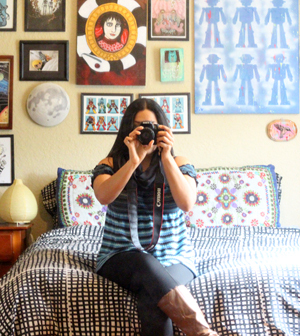 Do you struggle with occasional creative life and business block? You may need to practice your intuitive decision making skills. A finely honed intuition is the secret weapon of many talented, successful artists or designers. 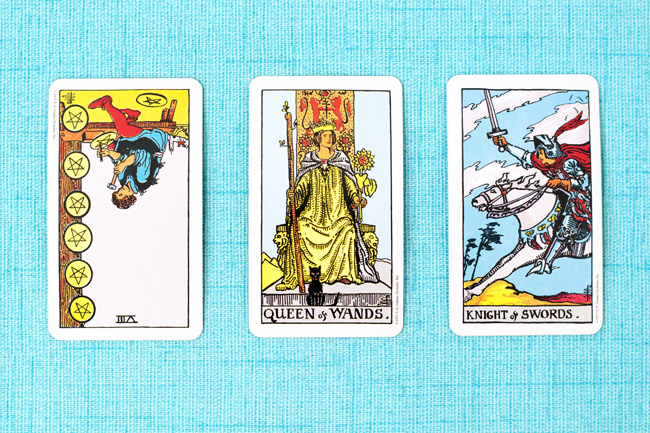 And believe it or not, I've been using tarot cards secularly and scientifically to help refine business decision making and design processes. You can use any card set with pictograms (like Loteria cards) but classic tarot cards (like my Rider-Waite deck) are designed with a balance of archetypal, relatable imagery that fires up the brain's reticular activating system for imaginative problem solving. The history and symbolism is fascinating and the illustrations are gorgeous. If I haven't convinced you to play with the cards yet (colors, symbols, history, with those accolades alone, what's not to love?) here are five reasons how tarot cards can help solve your toughest business decision (or life decision) making problems! 1. It's a tool for self-discovery. Doing daily or monthly tarot readings, or learning your deck, will help you discover yourself. Different cards will jump out at you, take note of the ones you're drawn to and what that could mean. 2. It makes a meditative ritual. Starting or winding down your day by drawing one card or doing a simple card reading to ask a question or evaluate your day makes a meditative ritual. Bonus points if you incorporate some essential oils or incense. It's healthy to make this time for yourself to evaluate your direction. The Cards Said: Stop micro-managing every project and focusing on details to the point of self destruction and a time of prosperity and balance will follow. I'll be able to make the vision of balance I want come true. A time to charge forward full force with my business is coming shortly. 3. It helps you find the answers you already know, but had trouble finding. You may feel twisted in knots about making a decision, but deep inside, you know the correct answer. When you interpret your own set of cards you're using the iconography in the cards to solve your issues. 4. They provide alternative views and fresh perspectives on your problems. Whether you lay out cards and have another person read them, get a professional reading, or do it yourself, the imagery and meanings behind the cards sometimes offer a point of view for problem solving you didn't consider before. 5. Daily use could help you awaken your intuition so you "see signs" better in your daily life. Daily tarot use is similar to vision boarding in that it can help exercise your reticular activating system (RAS). Your RAS controls why you randomly see people driving your new brand of car everywhere right after you buy it when you didn't before, or how someone whispering your name can bolt you out of sleep when you slept through the neighbor's car alarm all night. Training that awareness-to-the-right-stimuli response can help you see signs that solve problems. You may see the perfect line design in a potted plant on your morning walk that helps you complete a graphic you've been working on, or that barely-visible flier for a new business opportunity you'd be remiss not to sign up for. I feel like daily use of my cards has helped me refine my label creating process. If you're open to it, tarot cards can be an excellent way to refine cloudy ideas or get past your toughest decisions. Studying the symbolism of tarot alone is enlightening because it's referenced in everything from classic literature to modern screenwriting and music. Biochemist L.J Sherpard and retired psychiatrist Anthony Lewis, among others, use and write about the use of tarot cards for self-discovery and problem solving. For me, recent study and practice of the cards is personal because my grandmother (from very Old World Mexico, she died of old age before I was born) believed in paying good karma forward by offering tarot readings to anyone in need of guidance in exchange for one penny. I'll follow-up soon with specific exercising your using your tarot deck for problem solving if you want to find a deck that speaks to you and follow along. I'm usually pretty decisive. But occasionally there's a tough one :) I haven't really looked at my cards in a long while. Thanks for reminding me! No problem Duni, I envy your decisiveness. It shows in your consistent work ethic, haha. Ooh, thank you! I haven't done this in so long. I think it's about time again. Do eeet! :) I'm thinking of doing some free card readings soon, I've almost got the meanings memorized. 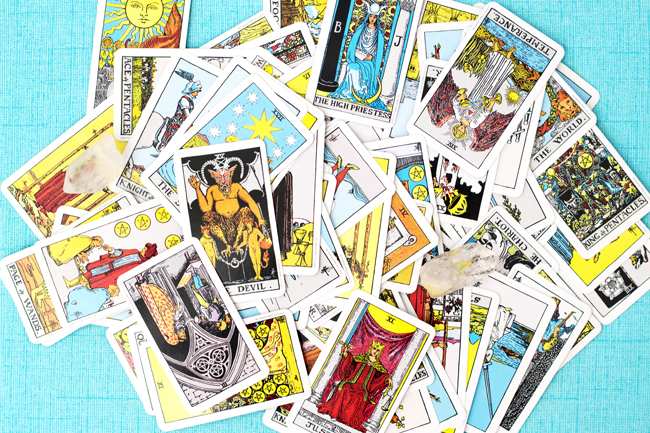 Thank you so much about this informative post on tarot cards and how it can help in decision-making, Vanessa:) It's something I really don't much about. And I think it's so cool how your grandmother did readings! I didn't know too much about it either until my roomie decided we should go to the new age store to get a deck on a rainy Saturday. I was instantly sucked in and didn't look back. I almost feel like they "came" to me from my grandma at the right time, haha. I know what you mean about that instant attraction. The Rider-Waite deck is *so* compelling. I was drawn to them years ago and knew I had to take them home. And yet they still sit there on my shelf, unused, unstudied. Maybe the sheer depth of information is a little too daunting for me? You say that you've almost got the meanings memorized - I'm impressed! How long have you been working with them, how long did it take for them to start to become familiar? Great info, thanks! I'm inspired to follow up!! Please let me know how it works out for you! They're so fun to work with and I'm excited to one day use them to help others unravel their problems. One tip from the future post, it helped to remember one sentence or key word for each card to start. I would like a card reading next time I'm in town. P.S. Loteria cards were the inspiration for my latest tattoos. No prob :) Let's do it. I love loteria cards!